The day began early, dark and cold with temperatures in the upper twenties. The Deep Fork Audubon Group met at St. Gregory University and drove to the Nature Conservancy Pontotoc Ridge preserve. 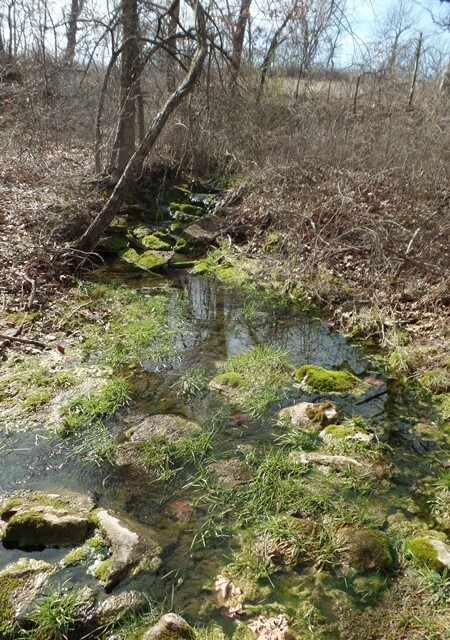 This site is 2900 acres of low rolling hills with stony lime outcrops, prairies, woods, springs, creeks and ticks. Pontotoc Ridge recorded an amazing 88 inches of rain for 2015. Fittstown Mesonet station, about 6 miles north, received over 77 inches. 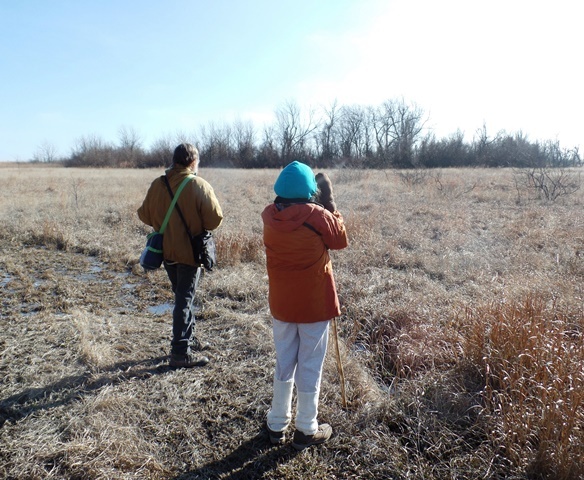 It was time for the 9th annual winter bird count, under the direction of the Pontotoc Ridge manager Jona. Bird fanatics gathered at the new Pontotoc Ridge Headquarters building and filled up on doughnuts, cinnamon rolls and coffee. We broke into several groups and were assigned various areas to survey. 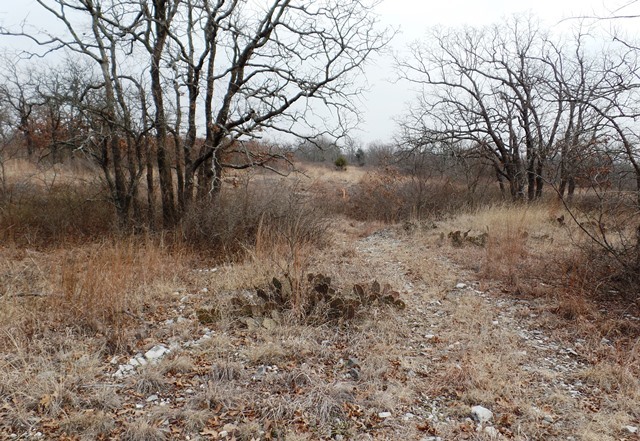 My group followed a muddy, but frozen path along the county road fence and veered off into undulating land covered in exposed and buried limestone rocks of various sizes. The path then dropped down into an open prairie that took us along the edge of the woods. The final leg was through the oak forest, across two streams, past a cavern containing the Oklahoma cave amphipod, and back to the complex. The circuit was over 4.5 miles. A very silent Northern Harrier hawk flew ten feet high directly above our heads. The black vultures with white tipped wings and a fan tail, and turkey vultures emerged as the sun warmed the land. Assorted sparrows, noisy crows, insistent woodpeckers, more sparrows, brilliant Eastern bluebirds, mockingbirds, cardinals, yet again additional sparrows, red-tailed and red-shouldered hawks, juncos, gold finches, flickers, and other birds, yes sparrows, were either seen or heard. Wave after wave of robins kept winging it north. The highest number one group saw was over 400, my group counted143, but a third group recorded only 4. The wetlands group was treated to cormorants and ducks. Another group saw quite a diverse mixture of sparrows. My prairie/woodland group traipsed over woods and dales and our outstanding birds were the various woodpeckers that lurked within and at the edges of the trees. The clouds eventually broke and the sun appeared. Thankfully, there was little wind. When all groups had completed their counts, we returned to headquarters for vegetarian chili, broccoli cheese soup and Subway sandwiches, plus desserts and cold drinks. Bird tallies were posted. Two groups identified 38 different bird species. We counted 37. Year-round, over 194 different bird species have been verified at the Pontotoc Nature Preserve. It was a good day for birding.